Obtain all Gold, Silver, and Bronze Trophies! Win the UFC Championship in each weight class in Career Mode. Win the UFC Championship with a fighter in Career Mode. Enter the Hall of Fame with a fighter during Career Mode. Complete Career Mode and retire undefeated. 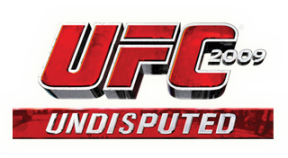 Obtain the KO, Submission and Fight of the Night Awards with a fighter in Career Mode. Win in under 20 seconds of the 1st round against a COM UFC Fighter in Exhibition or Career Mode. Complete all tasks from the Tutorial Mode. Escape 20 submissions by technical escape against a COM UFC Fighter in Exhibition or Career Mode. Obtain all the trophies in Career Mode with a fighter. Unlock all movies from the Classic Fights Mode. Win by KO without using any grappling moves against a COM UFC Fighter Exhibition or Career Mode. Win by Submission using no striking moves against a COM UFC Fighter in Exhibition or Career Mode. Complete one fight in Exhibition Mode with each UFC fighter. Win an online Ranked Match with a CAF or UFC fighter. Win 15 online Ranked Matches with a CAF or UFC fighter. Win 30 online Ranked Matches with a CAF or UFC fighter. Win 50 online Ranked Matches with a CAF or UFC fighter. Win 100 online Ranked Matches with a CAF or UFC fighter. Win 15 online Ranked Matches with a CAF or UFC fighter by submission. Papa Said Knock You Out! Win 15 online Ranked Matches with a CAF or UFC fighter by KO. Obtain all the gold medals in a Weekly Mission for Online Mode. Gain a million or more fans in Online Mode. Win a fight by flash KO in a Ranked Match with a CAF or UFC fighter. Create A Fighter and use the CAF in Exhibition or Online Mode. Reach level 50 or higher in Online Mode. Watch the Octagon Girl cutscene 15 times without skipping it. Mouth piece travels more than 3 meters when knocked out. Dominate the opponent in all 3 scenes of a replay segment. From the gassed state, KO an opponent in any mode. From the gassed state, Submit an opponent in any mode.